NWFA Certified Professionals are specifically trained in their area of expertise. They must pass a test to earn their credentials and complete continuing education to maintain their certifications. 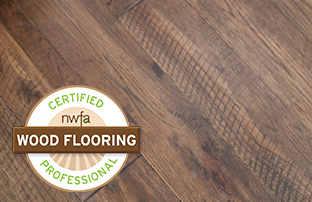 NWFA offers certifications for installers, sand & finishers, sales advisors, and inspectors. More than 40 manufacturers recommend using NWFA Certified Professionals. See the list here.